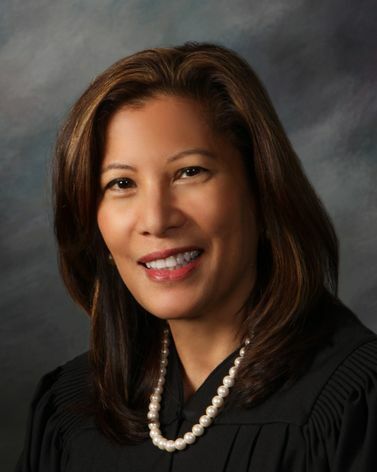 Chief Justice Tani Gorre Cantil-Sakauye, California's 28th chief justice, was sworn into office January 3, 2011. She is the first Asian-Filipina American and the second woman to serve as the state’s chief justice. The Chief Justice leads the state's third branch of government, the judicial branch. In addition to her role on the California Supreme Court, her constitutional duties include chairing both the Judicial Council and the Commission on Judicial Appointments. As leader of California’s judicial branch, Chief Justice Cantil-Sakauye has focused on improving the public’s access to justice, building partnerships to lead the judicial branch out of the state’s worst fiscal crisis since the Great Depression, and improving the branch’s efficiency, effectiveness, transparency, and accountability. Legislators, judicial officers and academics at the state and federal levels met to discuss common goals, improve communication between branches of government.